Wolfgang Amadeus Mozart had an older sister, Maria Anna Mozart, "Nannerl" to her family. 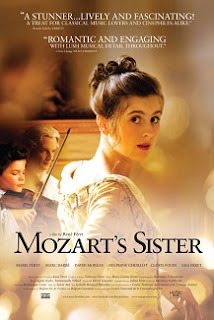 Mozart’s Sister is a film accounting of her early life and the reasons why she abandoned her own career as a musician, composer and singer; instead, devoting her life to supporting her brother as dictated by their father, Leopold. 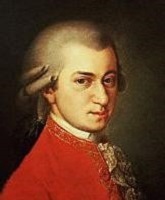 Maria Anna "Nannerl" Mozart was three years older than her brother Wolfgang Amadeus who adored his sister. Much has been written and told of the early life of child prodigy Wolfgang Amadeus. His elder sibling, Maria Anna, affectionately known to her family as "Nannerl," was a gifted musician, composer and singer in her own right. Sadly, Nannerl became a victim of the period's patriarchal society where women were not treated as equals. Initially, it was Nannerl who received top-billing as an excellent fortepianist, harpsichordist and singer during the family's tour to the European capitals in the 1760s. With the conservative values of the women in social status, and the forthcoming precocious talent of Wolfgang, Nannerl and her musical aspirations and talents became more of a supporting role to her brother. Mozart’s Sister is a thoughtful historical anecdote that reminds us to appreciate our talents and our capacity to nurture them. This cinematic multi-tasking, French filmmaker René Féret involved his family into his production. While his wife, Fabienne, serves as editor, his daughters star in the film. His fifteen-year old Marie Féret plays the titular Mozart’s sister, while her younger sister, by two years, Lisa completely outshines her in the lesser role of Louise de France, one of Louis XV’s young daughters. Stars Marie Féret (Il a suffi que maman s’en aille…, L’enfant du pays), Marce Barbé (La vie en rose, The Queen of Clubs), Delphine Chuillot (Pandorum, Silent Voice), David Moreau, Clovis Fouin, Lisa Féret, Adèle Leprêtre, Valentine Duval, Dominique Marcas, Mona Heftre and Julien Féret. Produced by Fabienne Féret, René Féret. Written and directed by René Féret (Destiny, Histoire de Paul, L’enfant du pays, Il a suffi que maman s’en aille…, Baptême). Costume Design by Dominique Louis. Maria Anna “Nannerl” Mozart (Marie Féret), is five years older than Wolfgang (David Moreau) and a musical prodigy in her own right. Originally the featured performer, she gives way to Wolfgang as the main attraction, as their strict but loving father Leopold (Marc Barbe) tours his talented son in front of the royal courts of pre-French revolution Europe. The film opens with the Mozart family traveling from Brussels to Paris in harsh winter, an arduous and expensive journey of many days. They are due to play in Versailles for the French royal court. Their private carriage develops problems, and whilst repairs were made, the family took refuge at a nearby Abbey. At the Abbey, the family is introduced to the three youngest daughters of King Louis XV, where they have been confined since early childhood. Nannerl and Louise de France, the youngest, develops a close friendship. So begins the story of Nannerl, Mozart's sister as she discovers her destiny to live in the supportive role of her younger brother, in the shadow of Mozart. Forbidden to play the violin or compose, and approaching marriageable age, Nannerl rub against the limitations imposed on her gender. But a friendship with the son and daughter of Louis XV offers her ways to challenge the established sexual and social order. A letter is passed from Louise to Nannerl, to be delivered to Hugues le Tourneur, a young music master at Court. The delivery of this letter changes Nannerl's life. At Versailles, in delivering the letter in person, she meets the recently widowed Dauphin, who encourages her to challenge the social order of the period regarding women. The film is said to be a labour of love by director Féret. His daughters are featured as Nannerl and Louise de France. The scenes display muted tones and the use of candle lights. The music is simply beautiful. Technically, the story is rather slow in pace or show of feelings, of emotion. 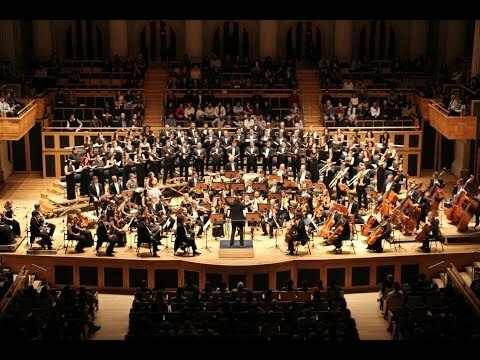 But for Mozartians and classical music lovers, the movie is divine and the music, sublime. Mozart's Sister - Official US Trailer. Youtube, Uploaded by YouTube Movies. Accessed March 14, 2013. Mozart's Sister Trailer. Youtube. 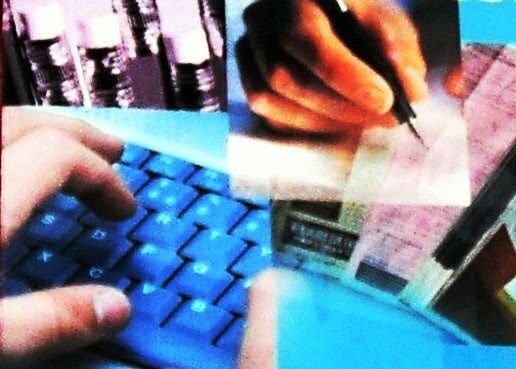 Uploaded by RialtoDistribution. Accessed March 14, 2013. "Mozart's Sister" DVD, Rialto Distribution. (c) 2013-2017. Tel Asiado. Inspired Pen Web. All rights reserved. BACH AND MOZART: IN THE IMAGINATION OF THEIR HEARTS. This Easter, Sydney Philharmonia Choirs and the visiting Capella St Crucis from Hannover will fill the Sydney Opera House Concert Hall with the gloriously uplifting sounds of Bach's Magnificat and Mozart's Great Mass in C minor. Antony Pitts takes inspiration from Bach in his thrilling new setting of 'Mente cordis sui' (In the imagination of their hears). Florian Lohmann, conductor (Mozart) and Brett Weymark, conductor (Bach, Pitts). Saturday 20 April, 2pm. Sydney Opera House Concert Hall.